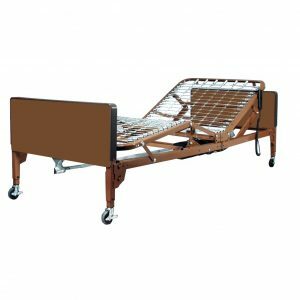 Full-electric hospital bed rentals. Rent a medical bed 7 days a week. Mattresses must be purchased for hygienic reasons. Visit us at our Naperville store to see our 5,000 sq. ft. medical equipment showroom!